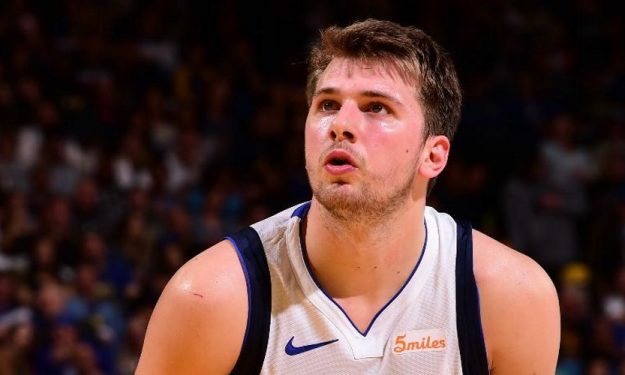 Luka Doncic is widely considered the frontrunner for winning 2019 NBA Rookie Of the Year. He averaged 21.2, 7.8 rebounds and 6.0 assists in his debut season with the Dallas Mavericks and swept the Rookie of the Month in the process. While Doncic naturally would like to add the ROY to an already packed award collection, it won’t bother him much he’s not the one to win it. “Obviously I want to win, but honestly I don’t care. I’m going to go home and I’m going to turn off all my social networks. Nobody will find me,” Doncic said on the ROY “clash” with Atlanta Hawks guard Trae Young, per AS. Doncic’s debut NBA season possibly exceeded expectations, even for those who were familiar with his talent and believed that his game could translate beautifully to the NBA. The 20-year-old point forward quickly became a fan favorite and is pretty much on his way to officially be the face of the franchise too. “Obviously, I didn’t expect to play so well. But I knew I could play here and I watched a lot of NBA When I was in Europe,” Doncic commented. Despite Doncic’s overall performance, the Mavericks didn’t make the playoffs. Doncic hopes that things will change in 2019-2020. “The next season will be different. We are building something special and I know that next season will be different.